The US National Oceanic and Atmospheric Administration has released temperature figures for last year, and it was significantly hotter than the previous hottest year, 2014. The graph also shows that the supposed “pause” in rising temperatures (1998-2011) was a temporary slowdown over a generally sharply rising curve, only made vaguely plausible by carefully selecting the start and end points. If we look at the larger picture (say since about 1960), the rise is clear, and ongoing. 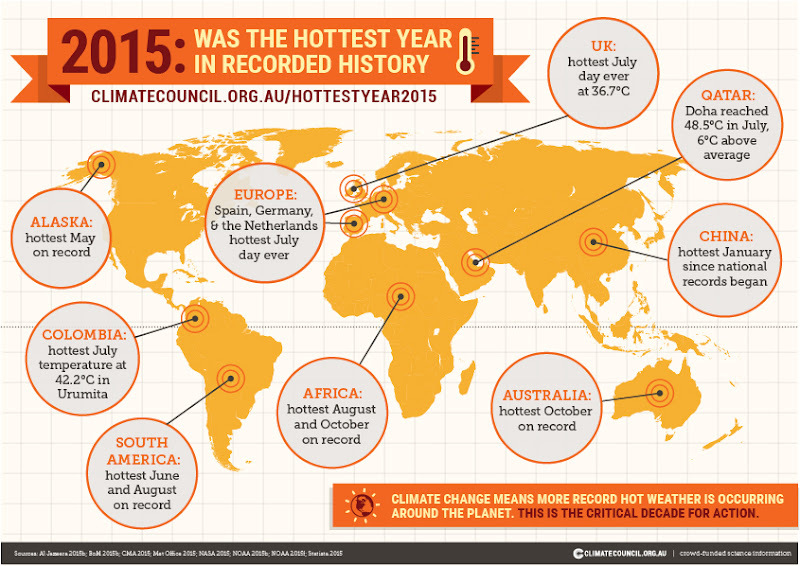 Fifteen of the sixteen hottest years on record occurred this century. All sorts of temperature records were broken in the past year. The World Meteorological Organisation reports many unusual flood and drought events around the world, indicating changing rainfall patterns, with many instances of 24-hour totals exceeding normal monthly averages. At the same time, many parts of the world experienced extended droughts. There has been an increase in hurricane activity and severity. Hurricane Patricia, in October 2015, was the most powerful (measured by wind speed) hurricane ever recorded in the western hemisphere. The US has experienced an unusually mild (warmer) Christmas, but right now parts of the US are experiencing record and damaging snow storms. Australia’s Great Barrier Reef is the world’s largest coral reef (in fact, it is the largest living thing on earth), but over the last 40 years has begun to experience bleaching events caused by raised water temperatures. These events have been a major cause of a decline in coral cover, down to half what it used to be. The cost of renewable energy has decreased significantly in the past decade, and the renewable energy sector is growing – almost 5 million new jobs in 6 years, as many countries and cities dramatically increase their commitment to renewable energy. Unfortunately, Australia reduced its commitment to renewable energy in the past few years, although a change of leadership may reverse that (we hope!). We can all support the necessary change through our votes, our purchase of clean energy and lobbying. Please consider. 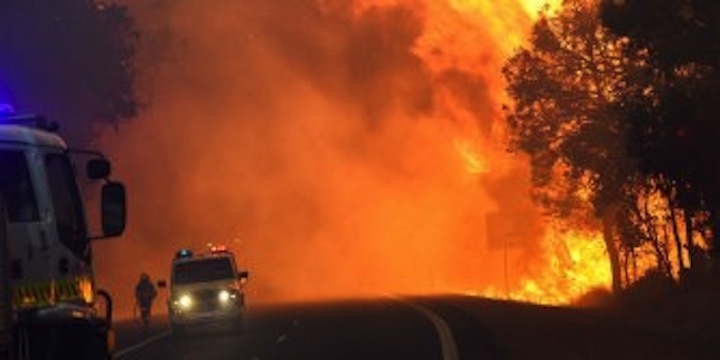 Read more about climate change on this website.